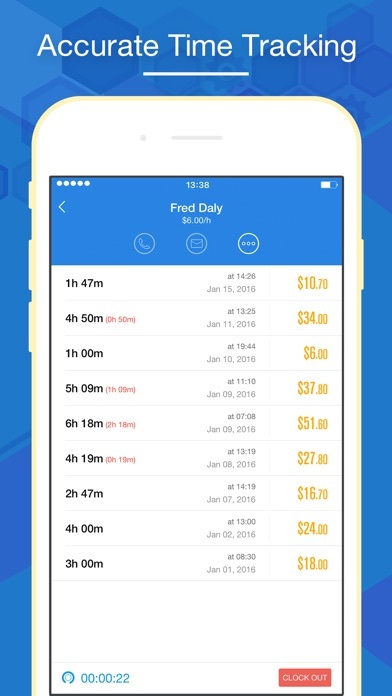 Hours Keeper is a well designed application that you can use to easily track your hours worked and calculate your earnings. 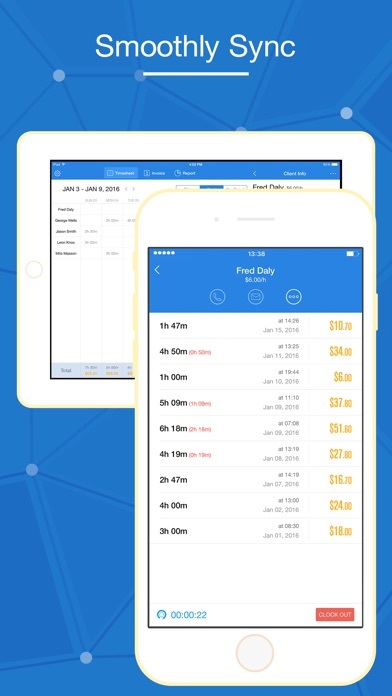 Hours Keeper allows to record your daily working hours for each client, including your overtime and break time. After earnings been calculated, your can generate PDF invoices to sent to your clients and track all the billings and the payments. “Easy to use and simple. It’s very useful and is definitely worth every penny. Great customer service from developers!” “Very well executed app, nice clean interface with tones of useful features.” “A great app for those of us that do business on the go. It is packed full of great features that really help out. Great job.” Our Hours Keeper is one of the best tools to track down all the hours you have worked. 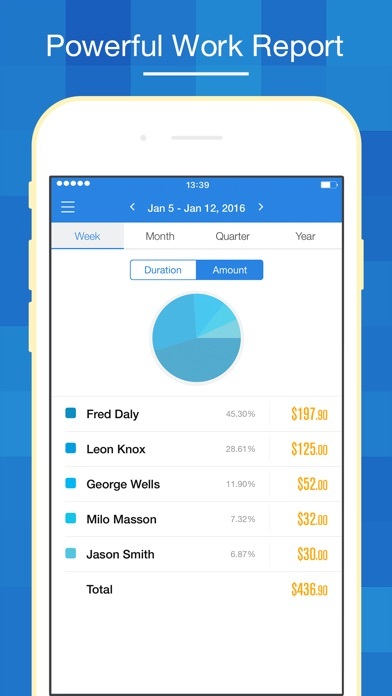 Once you use the app you will want nothing else to make your hours and earnings tracking easier. KEY FEATURES - Well designed, easy to use, intuitive interface. - Realtime hours/earning tracking for multiple clients. - Weekly and monthly timesheet. 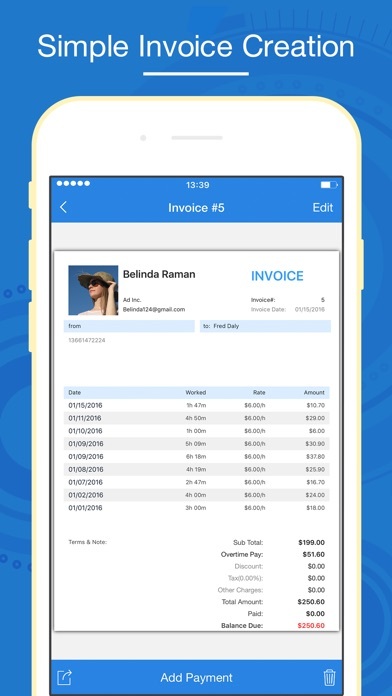 - PDF invoices to send to customers. - Earnings reports. 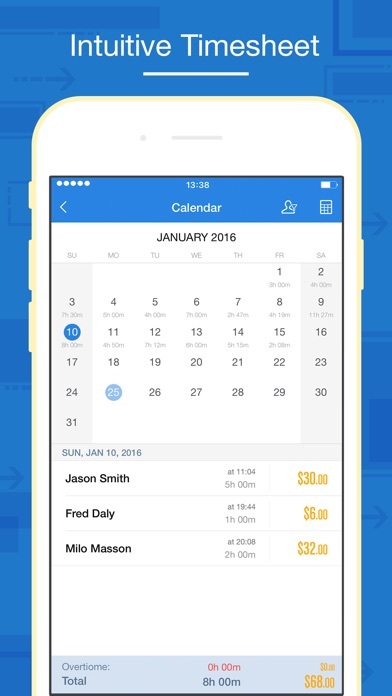 - Calendar to map your daily earning for each month. - Billing and payment tracking. - Configurable overtime and break time for time tracking. - Export data as CSV. - Sync data between all your devices. - Passcode protection. Please write to us before leaving negative reviews, as we can often help with your problem or help you better use the app. If you have any problems or suggestions please send a mail to hourskeeper@bluetgs.com , and you will get the response with solutions in a short time.